This is the moment a moose ran in front of a car and smashed into its windscreen - then got back up and ran off with a limp. 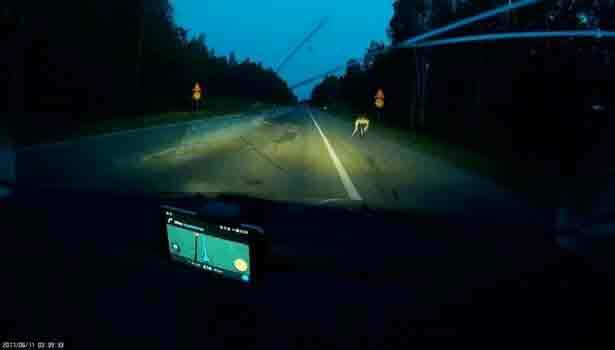 The dramatic video was captured on the dashcam of a car on a rural road in Latvia. The video shows the car driving along the road on June 11 with the lanes appearing completely quiet and empty. But suddenly a huge animal darts in front of the car. The driver is unable to swerve out of the way and hits the moose hard. 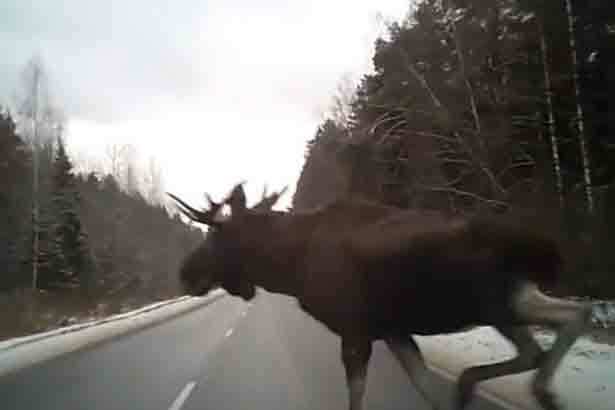 The moose smashes the windscreen as it rolls over the car, leaving cracks visible in the glass. According to the person who filmed it, called, Sala, everyone inside the vehicle was unharmed. The moose can also be seen running away after the collision. It is not the first time a dashcam has captured an animal collision. The Mirror reported in late 2015 about a driver who rammed into an elk running across a motorway, killing the animal instantly and destroying his vehicle. The incident happened on a motorway next to the village of Yefremovo, in western Russia's Vladimir Oblast region. 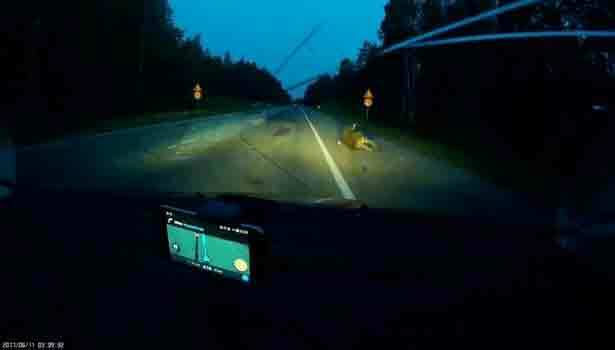 The unnamed driver of the Hyundai Solaris captured the moment on his dashcam, which showed he had no time to respond before he rammed into the elk. Local hunters have been blamed for chasing the elk for two days before the animal fell victim to a car.